Football is in the air. Before you know it, there will be Saturday afternoon gridlock as Tiger fans take over the town. But what about those other weekends when the Tigers are away? This season, the Tigers will play on the road for five of 12 games, including four at Southeastern Conference schools. We offer an inside peek at these destinations, as well as a guide for getting on the road in style this fall! • Support staff: public relations (2–3), video operations (2), Tiger Radio Network (5–6), team chaplain, equipment team (2), ticketing (2), development (2–4), state troopers (2), strength & conditioning staff, including nutritionist (5), athletic trainers (3), pilot/charter plane crew. • Food: Strength & conditioning staff oversees all meals, catered at hotel for team/coaches. Here are the five Tiger away game destinations this fall. The Mascot: The 64th WVU Mountaineer mascot was selected after an intense application process that included an essay, an interview and a cheer-off. Troy Clemens, a senior at WVU is this year’s choice to carry on the Mountaineer mascot legacy, fully decked out in custom buckskins and matching coonskin hat. 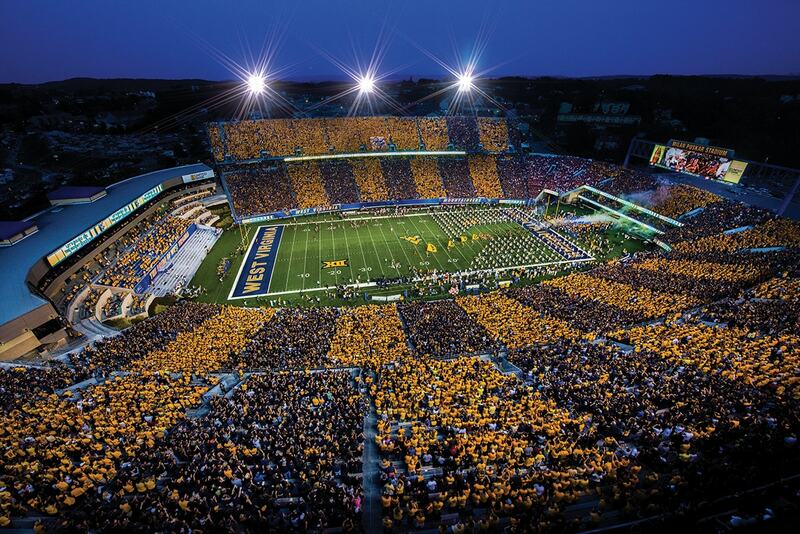 • “Moonshine and pepperoni rolls are what West Virginia fans are most known for,” says WVU Mountaineer and tailgate blogger Andy Joliet. That said, Joliet and her husband are known for tailgates curated with gourmet dishes and craft beer, including a Mountaineer Margarita recipe they created that includes blueberries. • Black Bear Burritos and the Mountain State Brewing Co. are worth a try, too. • The Wharf District features the popular Waterfront Place Hotel frequented by visiting team football fans, as well as the Morgantown location of the Mountain State Brewing Co. Walk, run or cycle along the Rail Trail. • Check out the West Virginia Botanica Garden. At 10 a.m., on the Friday before the Sept. 3 game, take the family down to Tyrone Road for the garden’s monthly Family Walks. • Don Knotts, the legendary television character actor and comic, was born here in 1924. Anyone remember the “The Andy Griffith Show”? • Over the past 20 years, the city has revamped its Wharf District to showcase restaurants, hotels and paved trails. 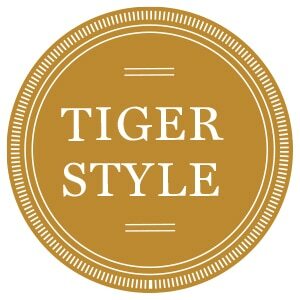 The Mascot: Mike the Tiger VI — the only real tiger mascot in college sports since 1936 — and his two-legged costumed counterpart pump up fans from the sidelines at every game. Before every home game, Mike’s cage is placed right next to the visiting team’s locker room. Oh, and be sure to check out Mike VI’s 15,000-square-foot enclosure just north of the football stadium, complete with a stream, waterfall and plants. • For every growl that Mike makes before a football game, the LSU football team is said to score a touchdown. • The nickname “Fighting Tigers” was given to the football team in 1896 when Coach A.W. Jeardeau brought the team to a 6-0 record that season. • LSU Fall Fest is open to all students, faculty and the community. This tradition started in 1994 and takes place on the LSU Parade Grounds at the start of every school year. 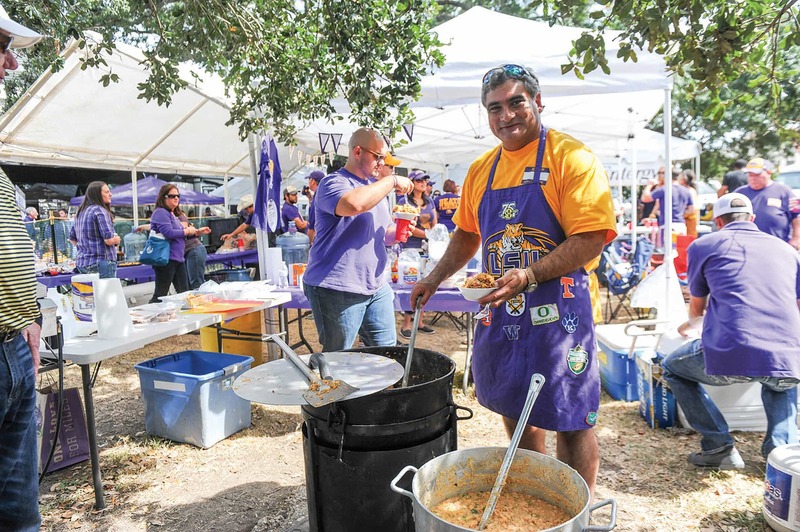 Everyone comes together to enjoy the festivities and celebrate being part of the LSU community. • Mason’s Grill is the home of “Louisiana’s Best Burger” per the Food Network magazine and Zagat. Food Network’s “On the Road” TV show proclaims the Cajun Shrimp Burger as a favorite, along with Mason’s Bloody Mary. • Mike Anderson’s Seafood Restaurant owner Mike Anderson was a 1970s All American LSU linebacker. Popular choices are “The Norman,” a seafood dish, and the chargrilled oysters. Grab a taste of the bread pudding, too. • Jolie Pearl Oyster Bar in downtown Baton Rouge features 50 types of fresh oysters and prides itself on educating visitors on the nuances in flavors. Try the toppings — Rum Mango Salsa is a good one. • Tin Roof Tap Room, just a mile from downtown, is among 11 craft breweries on the Louisiana Craft Beer Trail. Take a tour or try the fall seasonal brew — Gameday Session IPA will get you in the mood for tailgating. Baton Rouge Food Tours LLC: For a taste of Baton Rouge-style Southern hospitality, you can literally eat your way through the city. Owner and Baton Rouge native Kimberly Harper’s culinary excursions offer a sampling of area history and culture, too. Make reservations at www.batonrougefoodtours.com/tours. Enter the code TIGERS, for a Mizzou fan discount the first weekend of October, when MU plays LSU. • The Louisiana State Capitol is the tallest in the United States today, standing at 450 feet tall (34 floors). Walk up the front steps and note that each step has the name of the 50 states in order of their admission to the Union. Walk around the surrounding grounds, covered with many native plants from Louisiana. • Built in 1791, the Magnolia Mound Plantation is celebrating its 50th year of historic preservation by offering free guided tours the first Sunday of each month. Stop by Sunday, Oct. 2, after the game for a tour back in time. • “Baton Rouge” (which means “red stick” in French) was named by French explorers in 1699, and became the capital of Louisiana in 1847. • Shaquille O’ Neal — Need we say more? The Mascots: Gators Albert and Alberta. In 1908, the idea of having an alligator mascot was created. In 1970, Albert was introduced in full-body costume, joined on the sidelines in 1986 by Alberta. 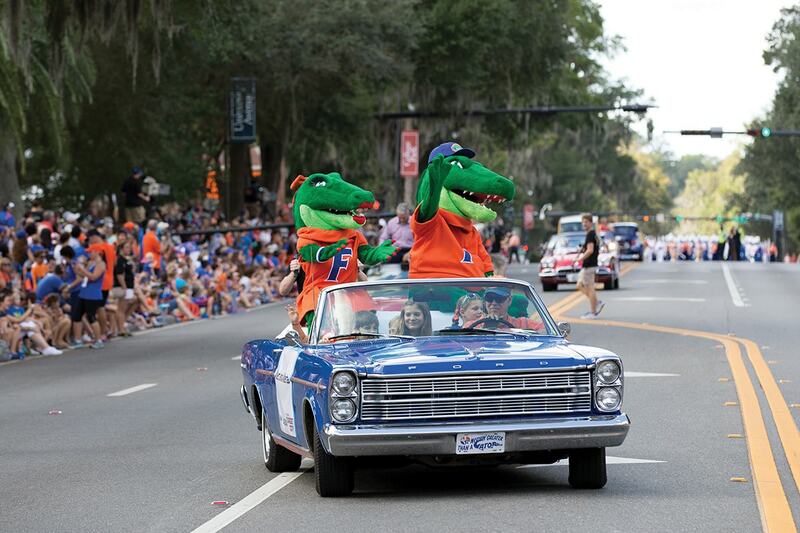 • Gator Growl, the annual homecoming pep rally, features big-name artists, popular food trucks and a giant beer garden on Oct. 14, the eve of this year’s homecoming game. • Witness thousands of fans clapping arms and hand together to create the famous “gator chomp” to cheer on their team. • The Swamp is a Gator fan go-to place and Gainesville community staple. • The 43rd Street Deli & Breakfast House offers an endless breakfast menu, as well as traditional burger and salad fare. • Satchel’s Pizza is an eclectic eatery for great pizza. Bring cash as they only accept cash. • Visit the home of Heisman Trophy winners — including a statue of Tim Tebow — at Ben Hill Griffin Stadium, the largest in the state. Inside the Heavener Football Complex, view eight SEC Championship and three National Championship trophies. • The Florida Museum of Natural History on the University of Florida campus is a great stop if you have little Tigers in tow. • The McGuire Center for Lepidoptera, near the Museum of Natural History, houses more than 10 million butterfly specimens, displaying most of the world’s 20,000 butterfly species. • Union Street Station Pedestrian Mall has boutiques and restaurants from sushi to Cuban. • Bo Diddley Community Plaza is the venue for the Free Friday Concert Series. 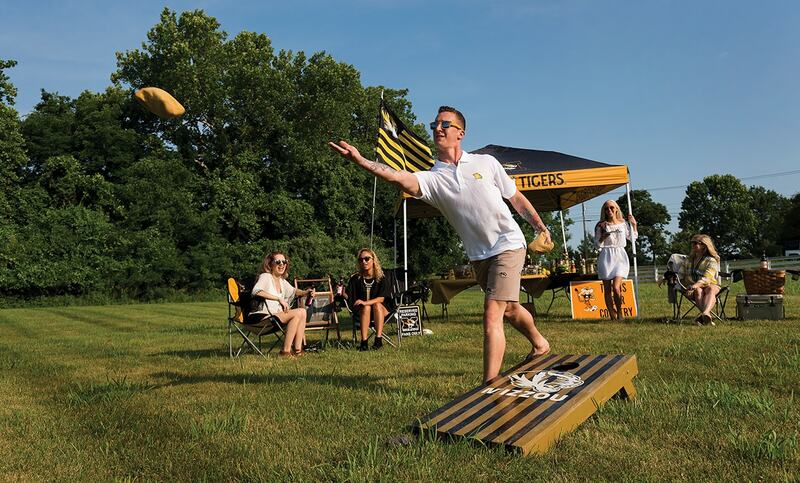 Whether they bring Tiger spirit elsewhere in the SEC or they hit the road to see their Tigers play at home, these super fans have stories to tell. Just as the family business — Cleek’s, now Aaron’s — has been passed down from fathers to sons, so has the love of Mizzou football. The Cleeks enjoy fall Saturdays at their reserved tailgating spot west of the stadium with a Missouri-decorated RV — the same RV that’s carried them to many away games they’ve attended: Kansas, Nebraska, Texas A&M, Tennessee, Florida, LSU and Ole Miss, to name a few. 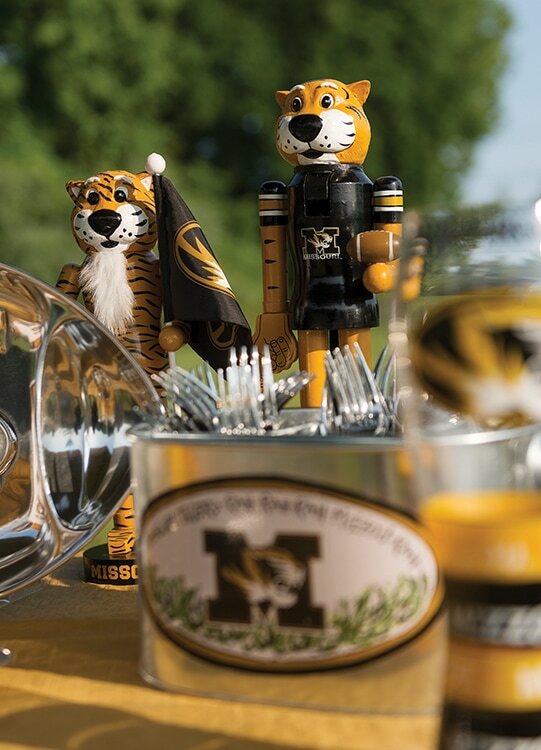 • At the SEC Championship and other big games, the Cleeks visit the MU Alumni Association’s tailgates to be surrounded by many more Mizzou friends and family. The Mascot: Cocky, the fighting rooster, made his debut in 1980 after taking the reins from his father, “Big Spur.” This two-time winner of the national Mascot Championship always tries to give the crowd something to crow about. • An old farmers-market-turned-tailgate-central is the place to be on game day. Across from Williams-Brice Stadium, Gamecock Park transforms into Gamecock Village 4 ours before kickoff. • Twenty-two garnet red cabooses — Cockabooses— sit on an unused railroad south of the stadium: unused except for the private owners who decorate them on game days. 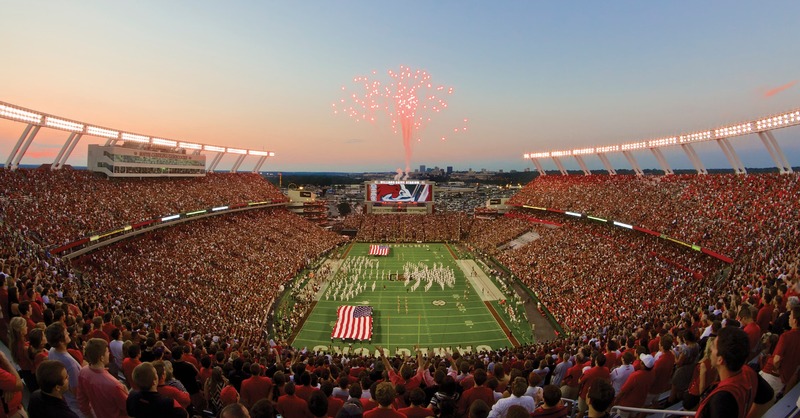 In 1990, a Columbia, S.C., businessman bought those cabooses that currently sell for around $300,000 for avid fans to enjoy the game-day atmosphere. • The Southern Belly BBQ satisfies your barbecue needs with its “high-quality, slow-roasted smoke barbecue” and sauces made from scratch. • Seawell’s, just a half-mile from the stadium, always features Gamecock Game Day specials the Friday before game day. • “History is written by the Victor” is the motto of the Conquest Brewing Co. that made history in 2013 as Columbia’s first brewery to make craft beers for a commercial market. An eight-minute walk southwest of the stadium brings you to this establishment honoring beer’s place in civilization. • Unwind after the big game in the Congaree Vista, Columbia’s arts and entertainment district in the heart of the city. • Pre-tailgate First Thursdays on Main. On the first Thursday of every month (Nov. 3 before the Mizzou game), downtown businesses keep their doors open and offer specials, entertainment and events. • Aziz Ansari, actor and comedian, was born in Columbia, S.C.
• The University of South Carolina began as the South Carolina College in 1801. It closed in 1861 during the Civil War and reopened five years later, struggling until it was re-chartered in 1906 as the current university. • Fort Jackson, the U.S. Army’s main center for basic combat training, is located in Columbia, S.C.
• The Saluda River and the Broad River converge in Columbia to form the Congaree River. Why not Salubro River or Saload River? Kristen Marshall is no road-trip rookie. 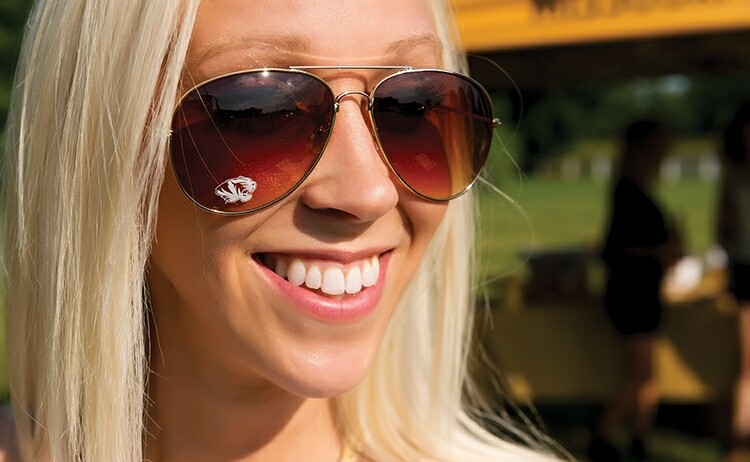 A 2000 Mizzou graduate and third-generation tailgater, she recalls her first road trip to an away game her junior year of college. Kristen and her friends spontaneously decided to catch the bowl game against West Virginia, leaving for Tucson, Ariz., on Christmas Eve. That trip was far from her last. Every college town offers a unique experience, says Marshall, a stalwart member of the Kansas City Mizzou Alumni chapter. 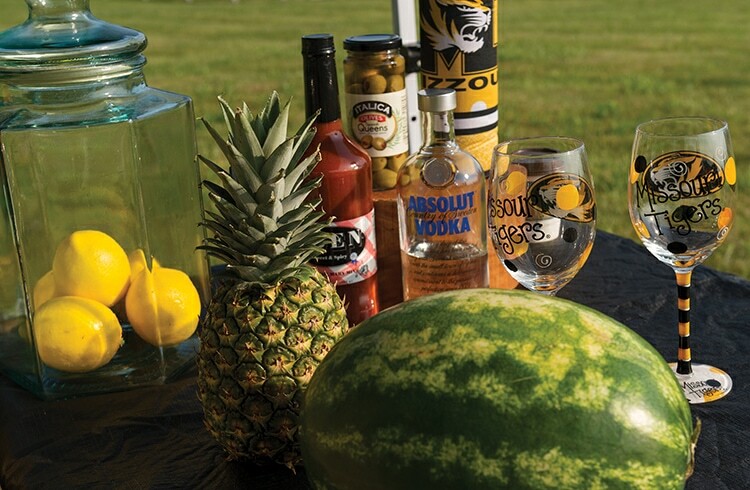 Away game days are filled with rich traditions and tailgating, too. As soon as Marshall and her family know the football schedule, they get tickets for the upcoming season. Reserve hotels for popular games well in advance, she recommends, and follow the Mizzou Alumni Association on social media to link up with other fans and alumni. “Making the trip to these [SEC] away games by car truly created the most enjoyable memories because there is so much to see when traveling,” says Marshall, who suggests turning game trips into a long weekend or even a week’s trip — making a pit stop in Memphis, for instance, on the way back from the game in Tennessee. This year, she’s LSU-bound in October. The Mascot: “Blue Smokey,” the mascot since 1953, has won two national Mascot Championships. Today’s Smokey is the fifth blue tick coonhound of his family to hold the honor of Volunteers mascot. 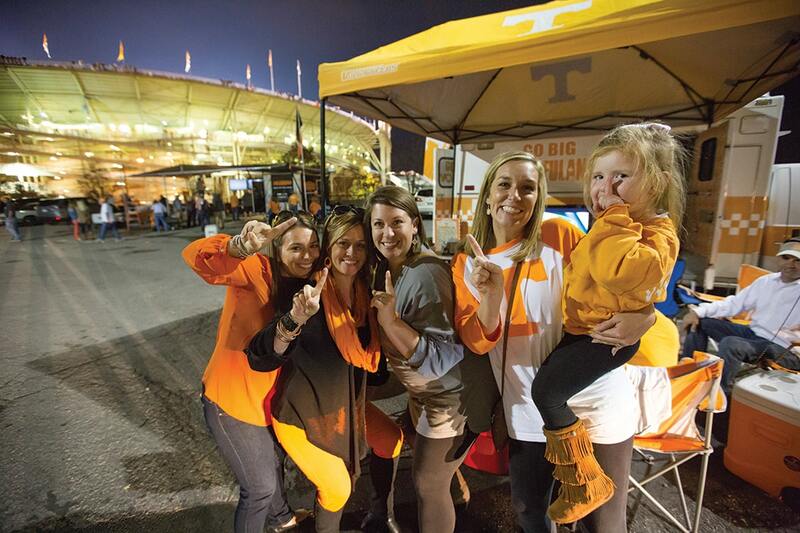 • More than 200 Volunteers beat the game-day traffic by tailgating on the Tennessee River. Former radio broadcaster George Mooney started this tradition in 1962 when he sailed his way to the stadium to avoid traffic. • Two hours and 15 minutes before kickoff, the team exits the bus at the Torchbearer statue on the corner of Volunteer Boulevard and Peyton Manning Pass. The team walks through the street filled with fans and the Pride of the Southland Marching Band, down Peyton Manning Pass and into Neyland Stadium. • With four locations, there’s always a Calhoun’s close by. The original restaurant opened in 1983; its hickory-smoked baby back ribs won the prestige of “Best Ribs in America” in a national rib cook-off. Calhoun’s On The River has a dock tableside. • Don’t let the curse of the white mule keep you away from the Downtown Grill & Brewery. The building is rumored to have been cursed when a rare white mule from a traveling circus died at its location in the 1860s. • A statue across from the Thompson-Boling Arena honors famed former Lady Vols women’s basketball head coach Pat Summitt, who died this past June. Summitt retired in 2012 after 38 years, eight national titles and 18 Final Four appearances. “I just want everybody to know that … it’s not about me, it’s about everyone out here that loves the University of Tennessee,” she said at the statue’s unveiling. • Constructed for the 1982 World’s Fair, the Sunsphere was restored and reopened in 2014. Its observation deck provides a free, 360-degree view of downtown Knoxville, the Tennessee River, the university and the Smoky Mountains. • Learn about Knoxville’s history and explore the paranormal with Knoxville’s Ghost Tours. Ghost hunting since 2010, the tour is Knoxville’s first and nationally recognized year-round ghost investigations. • Join in an appreciation of Tennessee crafts at the Foothills’ Annual Craft Show. With more than 140 booths of fine crafts and quality workmanship, this year’s craft show celebrates 50 years in Chilhowee Park all weekend long. • The University of Tennessee began as Blount College in 1794. Declared a university in 1869, the name changed to what it is today in 1879. • Peyton Manning, athlete and two-time Super Bowl winner, played four years for the Volunteers and remains its all-time leading passer. • The “Power T” is the official logo of the University of Tennessee athletics department. When the football players take the field, they run through a “T” created by the Pride of the Southland Marching Band. “I’m Ms. J, Mrs. J, Ms. Gayle. I’m Mrs. Johnson. I’m Moms. Don’s Pops sometimes. Usually, it’s just Mr. and Mrs. J.” That’s the litany of names Tiger athletes — heavy on the football players — use to seal their connection with this kindly couple. Whether rising stars, future pro players or nearly anonymous walk-ons, to the Johnsons, they’re all the same: big kids, many far from home and family, who yearn for a hug or an uplifting word. And that’s what the Johnsons have regularly dispensed since they retired here 12 years ago. Even through 37 years in Cornhusker wilderness, the Johnsons carried the torch for the Tigers. “We’d have to go sit in the car and turn the radio on to get the games,” she says. 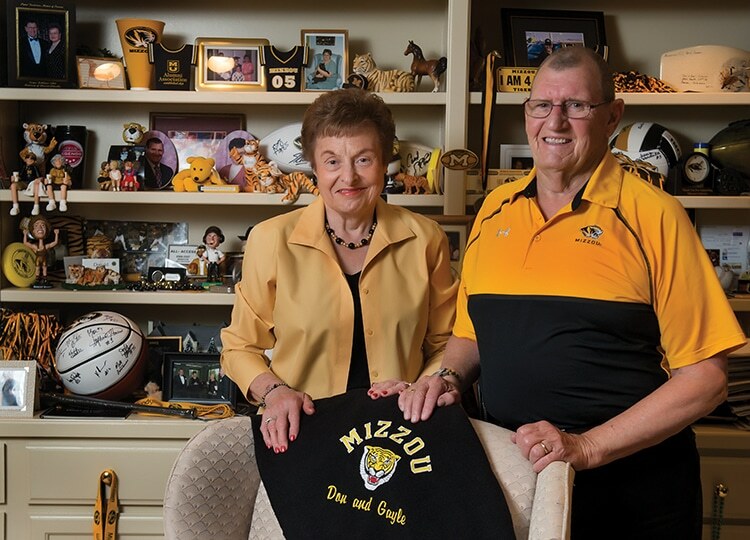 In time, they founded the Tigers of the Corn Alumni Association — 16 alums came to the first meeting in the Johnsons’ basement. They started following basketball, too, and wrestling, traveling to NCAA tournaments, as well as nearly every football bowl game, returning often to Columbia for games and fundraisers. 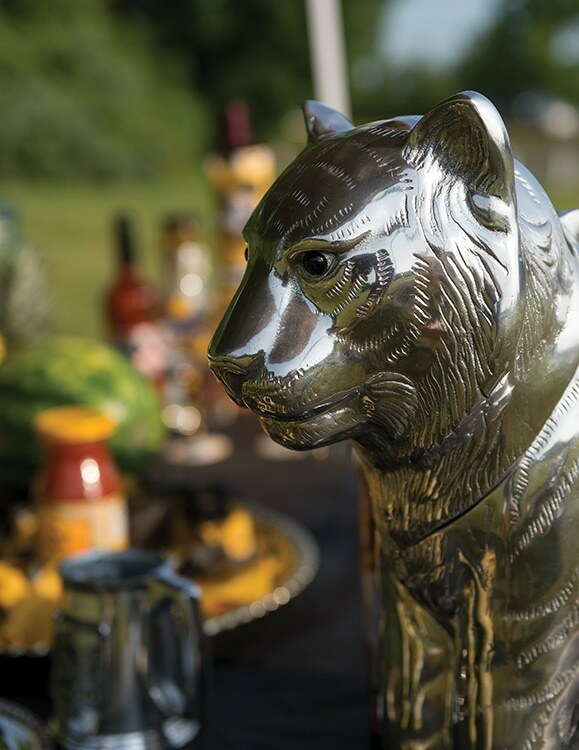 Since returning to Tiger home turf, they remain committed — and decorated — alumni volunteers and backers. But “the kids” are their primary mission now that their own grandchildren are nearly grown. Even after Gayle’s knee replacement surgery last year, Don made sure Gayle got to every Tiger Walk — in position at the bottom of the stairs, ready to wish every boy good luck with a hug. And Gayle still clips newspaper articles — last year alone, sending about 90 thick manila envelopes to players’ parents, since many may seldom, if ever, get to see their child play.